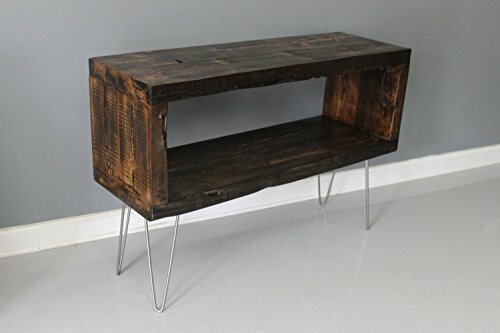 Handmade Media Stand with Urban Decor Style. Built by hand with reclaimed barn wood and guaranteed for life. Size Shown: 60""L x 16""W x 25""H. We salvaged this gorgeous wood from an old barn right here in the Mid West. Each item is made to order and lead time is 2-3 weeks for us to build. Don't see the size you need? Send us a message and we can provide you with an estimate. Please Note: Ships within 2-3 weeks after order is placed. Shipping time: 2-5 business days. This Media Stand will not ship assembled but all of the hardware will be included for easy assembly.